Algiers (AFP) - A group of Algerian opposition parties and unions proposed on Saturday a "roadmap" to end a political crisis and weeks of protests sparked by the veteran president's bid to stay in power. 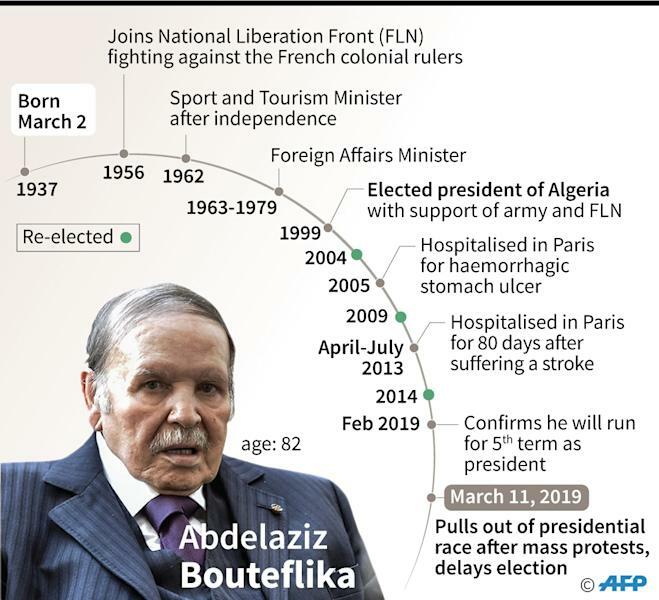 Bouteflika's current mandate expires on April 28 and proposals agreed at a meeting between opposition parties and unions call for a six-month transition period from that date. The roadmap stipulates the creation of a "presidential body" that would run the country during the transition period and which would be comprised of "national figures known for their credibility, integrity and competence". The proposals were made during a meeting attended namely by the party of Bouteflika's key rival Ali Benflis, a former prime minister who has joined the opposition, and the main Islamist party, the Movement for the Society of Peace. Algeria's opposition however has been marginalised by the protest movement, which has been largely led by students angry with the country's political system. The proposals come a day after hundreds of thousands of Algerians demonstrated nationwide for a fifth consecutive Friday, demanding that Bouteflika stand down and calling for regime change. 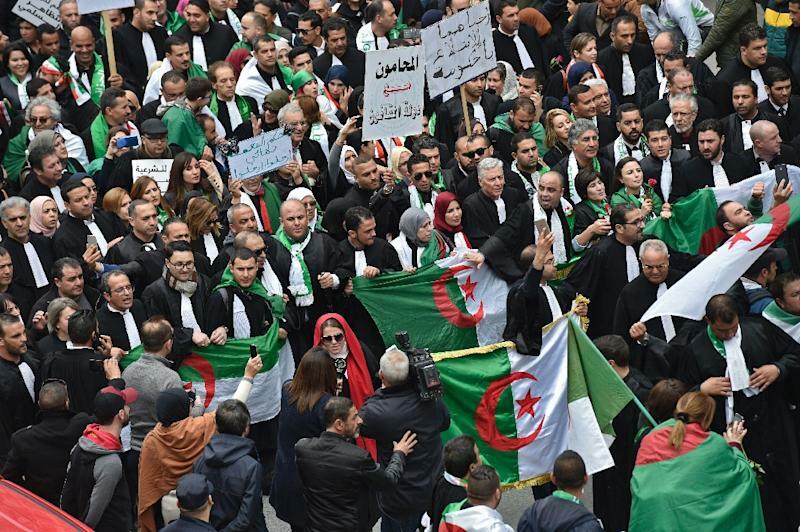 On Saturday, around 1,000 lawyers rallied in the capital Algiers chanting "we're fed up" with this government and calling on the political system to "go away".